Still working my way through my pile of movie & TV related miniatures. Here's the latest little group to emerge, with some very nice Fenris bases. 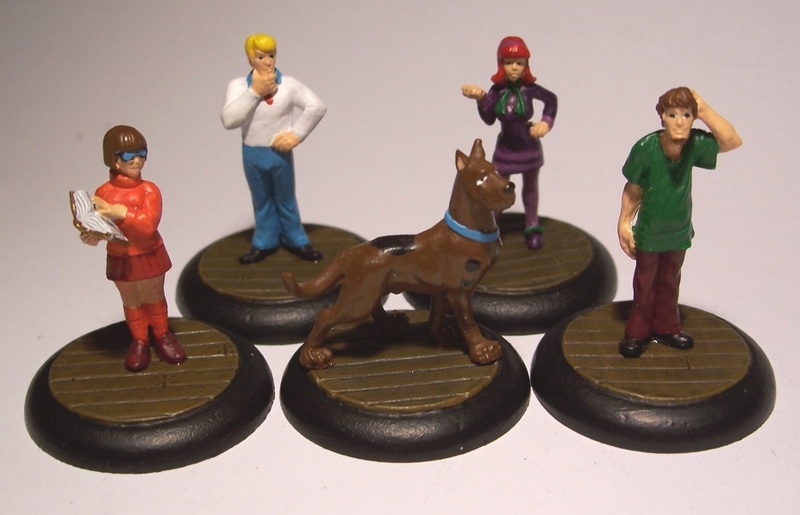 Hasslefree Miniature's Louise, Barney, Felicity, Wolsey and their dog Hamlet (aka Velma, Fred, Daphne, Shaggy and Scooby Doo). Nicely done. Love the bases as well they set the figures off nicely.